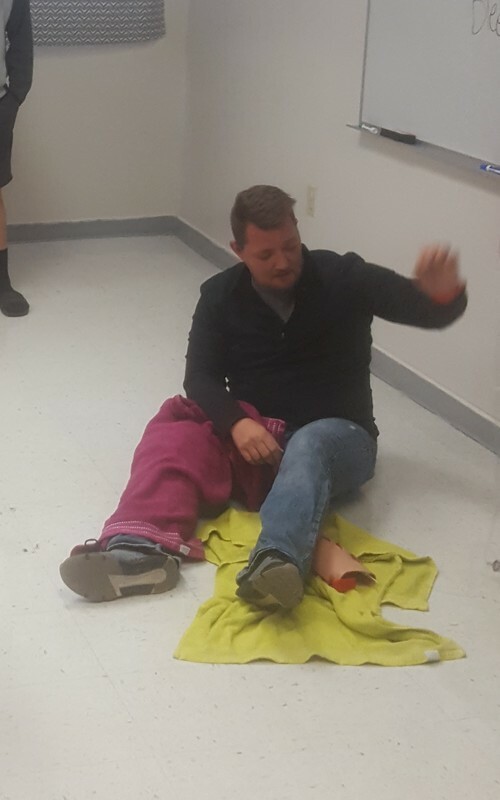 Mrs. Cotten’s 9th grade Health class was privileged to have Division Chief EMS and Training for the Southwest Camden County Fire Protection District, Josh Kingston, teach them First Aid and CPR. Sudden cardiac arrest is the leading cause of death in the US. Learning CPR is the most effective way a layperson can help a person in sudden cardiac arrest. CPR is comprised of compressions, and breathing, in combination with the use of Automated External Defibrillator, early recognition, and early activation can help increase the successful outcome of the person in sudden cardiac arrest. 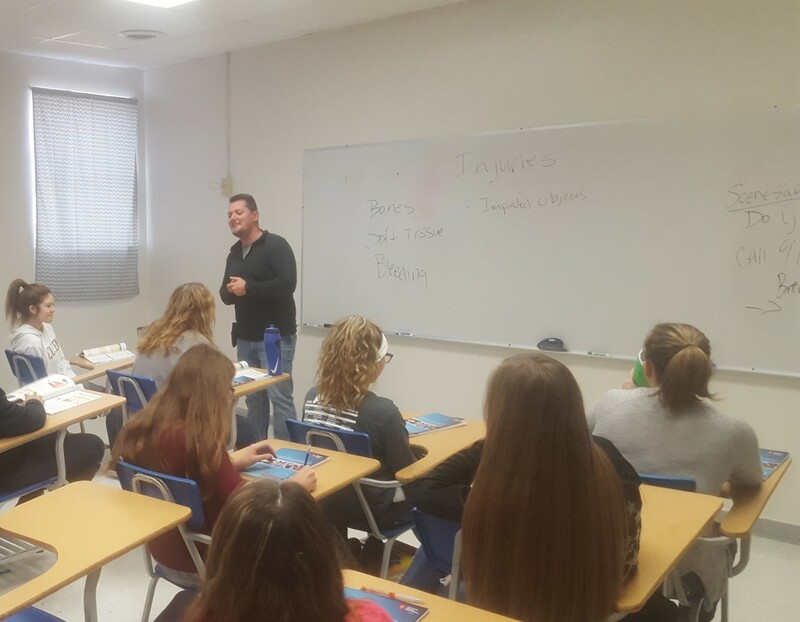 Students learned these techniques through an American Heart Association approved course and are certified for 2 years. 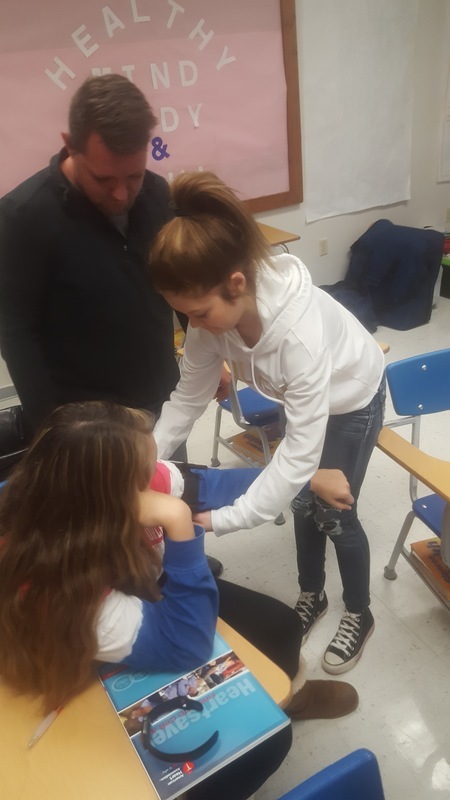 In addition to learning how to preform CPR and use an AED, students learned how to control bleeding, what to do if they encounter a stroke victim, how to help someone who is choking as well as many other techniques that could help save a life. The Macks Creek R-V School District is grateful for Division Chief Kingston’s time and effort in working with our students. 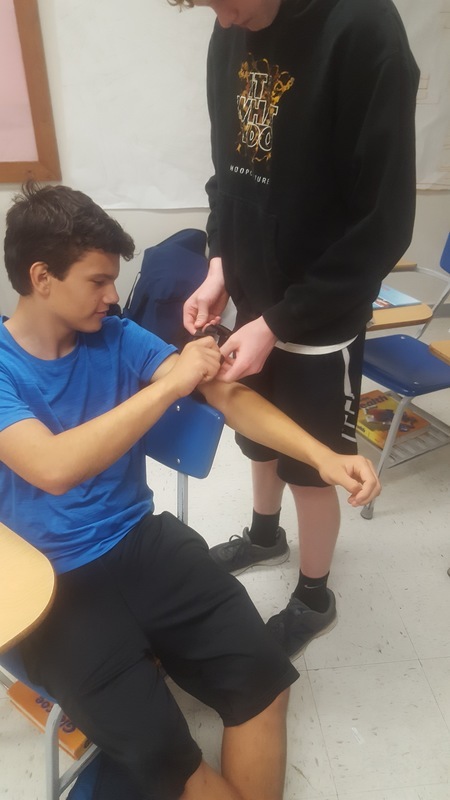 The district is working with Mr. Kingston to organize time for all high school students who attend Macks Creek to obtain the certification by the end of this school year.